Sunny side up for breakfast. After months of hiding behind the clouds, Mr. Sun is finally out. It means like the blossoms starting to come out of hibernation, I’d be enthusiastic to go to the groceries and cook more. Like every time I pick the kids up we would buy a loaf of bread or two before going home. There’s that Billa store near the school where we get our stuff and at the end of the month that’s also where I would take a free recipe magazine from the cashier stand for cooking inspiration. I’ve long wanted to try the recipes but I never really did until last week. 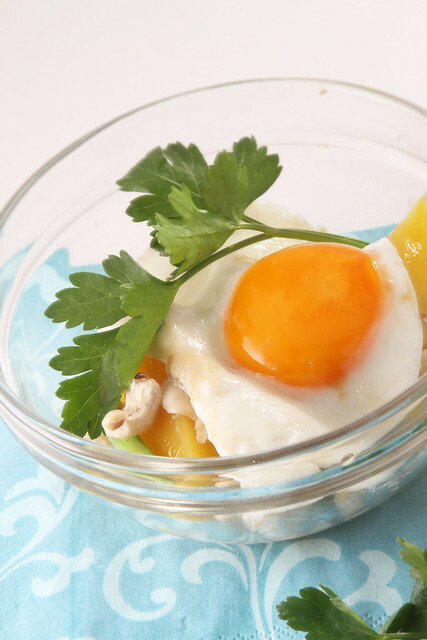 This fried eggs on mango-leek-cashew salad was just so attractive to pass up and to not share so here’s my first attempt at following a recipe by the book…errr magazine. For the salad, wash leeks and cut into 1cm pieces. If you’re using fresh mangoes, peel them up and cube, if you’re using canned — not really recommended albeit simpler – just cut them to cubes. Mince garlic. Heat up a teaspoon of olive oil on pan and put in the leeks, saute for a minute and remove from heat. Remove the remaining olive oil from pan and save it for later. Wash the lemons with warm water, dry up and grate a bit of the peel into a small dish. Squeeze the juice. Combine 1 tablespoon soy sauce, a pinch of chili, half of the minced garlic, honey and 2 teaspoons of lemon juice. Meanwhile, mix leeks, mango and cashew and sprinkle with salt to taste. Combine with soysauce mix. 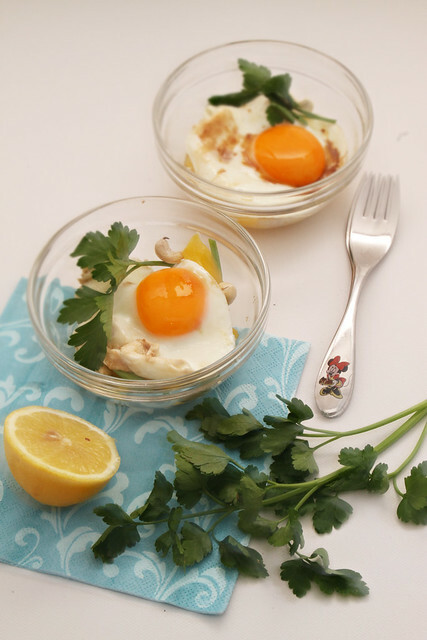 For the sunny-side up eggs, put vegetable oil in pan and let warm on medium heat. If you have those metal egg rings, put 4 of them on pan and break each egg on one…fry the eggs for about 3 minutes. 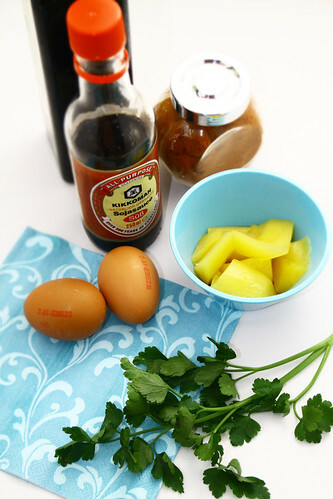 While cooking the eggs combine remaining soy sauce (3 tablespoons), chili, brown sugar, sesame oil and remaining garlic and cook for a minute in a separate pan. Set aside. Remove the eggs carefully from the rings…wash the coriander and snip into small stalks. Arrange the leek salad in four glass containers, put an egg on top of each and drizzle with the cooked say sauce concoction. Garnish with coriander and serve. Parsley may be substituted for coriander. Breakfasts. They’re supposedly the foundation of everyday and yet I fail to prepare one that would energize the kids, hubby and myself. It has been my goal to wake up earlier so I can have all the time to make a decent meal. I fail…all the time. The easiest I can prepare are toasts which the kids normally like with just butter. For hubby an egg and coffee with the toasts would suffice. 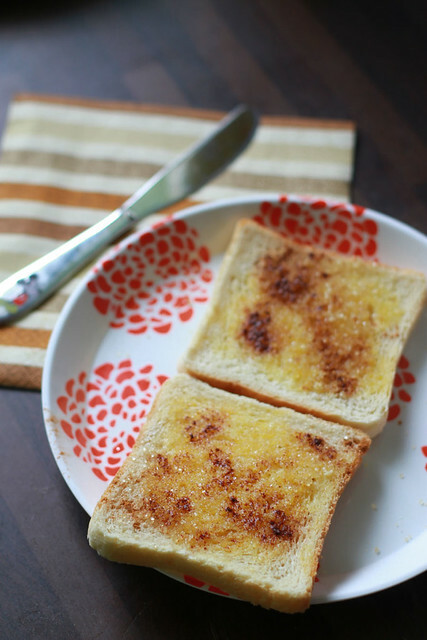 So to spice those bread on some days, here’s my cinnamon toast for easy fix. 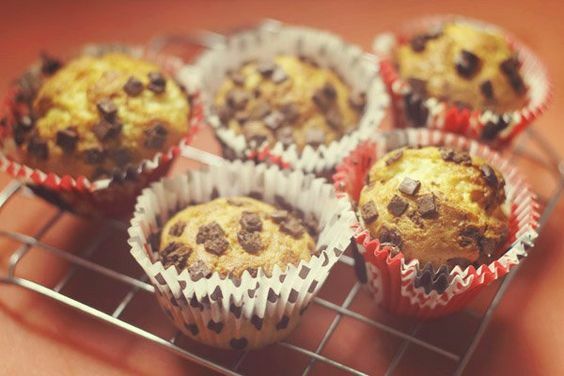 Four ingredients and a toaster and here’s your comfort food. 1. For the bread, choose ones that doesn’t have butter in them already. I find these cheap loaves from the grocery across our place, they’re at 0.40 cents. They’re not the best tasting bread when eaten alone but when made into cinnamon toasts or spread with nutella, they’re the best. So get some slices off for buttering. 2. Toast a few pieces on low…better use the grill-toaster than the pop-ups. While waiting, mix brown sugar and ground cinnamon. I prefer brown sugar but granulated would do. Take the bread slices out, be careful: they’re hot! Spread butter and sprinkle some of the sugar-cinnamon mix. 3. Toast them again until sugar melts and your done. 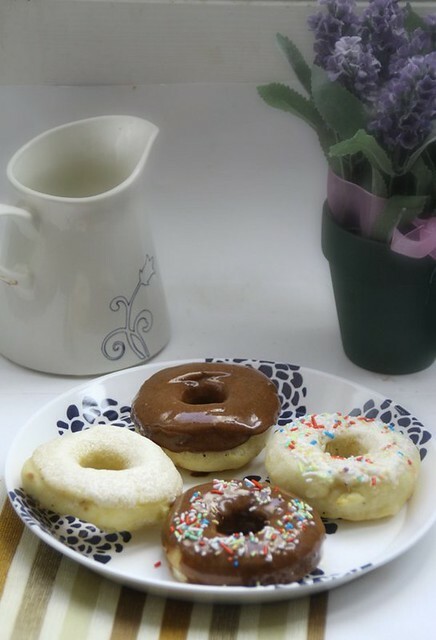 Best served with milk+honey for kids and coffee for hubby. My kids love to eat and have a good time. However, we all love traveling too. Imagine what hubby would search for each time we travel. Hotel with ample amenities to keep the kids entertained, a pool for them to enjoy when it’s too hot, a park or playground just near the hotel for them to unwind and of course, yummy food. They enjoy breakfast buffets just like during our Paris trip. Thankfully the chain of Victoria hotels offers various restaurants with a serving of tea & coffee, pastries, hot chocolate, fruits & fruit juices, yoghurt, cereals, pancakes, breads, grilled tomatoes, baked beans, sausages and of course: bacon and eggs. If we find ourselves visiting my new nephew in Canada, we’re sure to check out one of their chains. I’m glad I was somehow able to transfer this blog’s content to my other blog, really thought I’d lose everything. 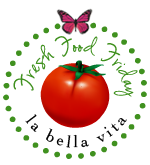 I just decided to keep this blog for recipes. 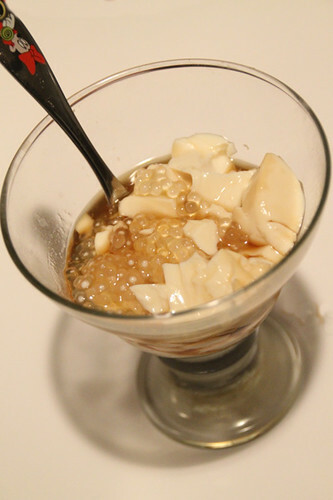 Some of my entries that I transferred included a write up about taho (soy bean curd with caramel and tapioca pearls) – a childhood breakfast favorite. When we went home last year, I learned that taho is hubby’s favorite too. I never knew this before because, well, there aren’t taho vendors around. It was one morning in our QC home when hearing the familiar call of “tahoooooooo” that he woke up and hurriedly sent me down, made me buy 40pesos of taho! Had I grabbed more coins I’d buy more. Coming back to Vienna, there’s no way that we can buy taho from a vendor. 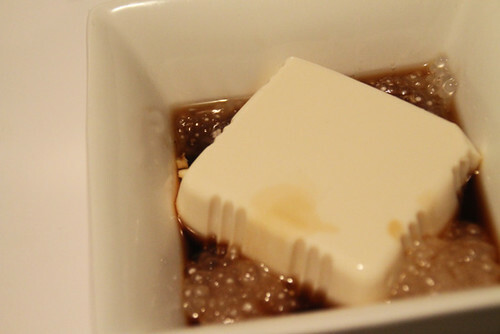 Thanks to fellow foodies, I found recipes about how to make taho…the moment I got hold of silken tofu…I made taho immediately. 1. Cook tapioca per package direction. 2. Dissolve sugar in water and cook to caramel consistency. 2. 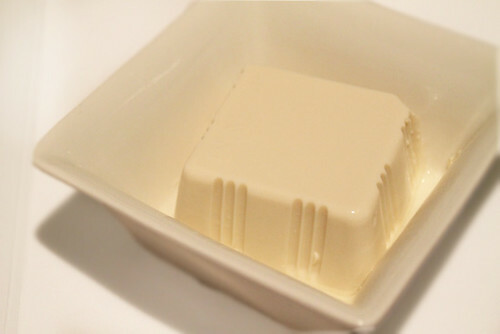 Put silken tofu in a microwave safe container. Heat up 10 minutes. 3. Combine all three ingredients and serve hot or cold. Voila! Taho in minutes! 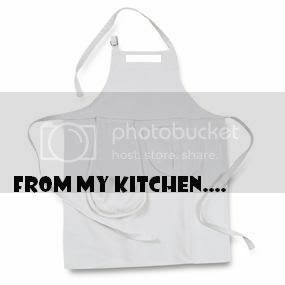 I’d surely be making this today, it’s our 10th year together after all. “The best way to a man’s heart is through his stomach” goes Fanny Ferns’s quote. Jokingly, Robert Byrne believes “Anybody who believes that the way to a man’s heart is through his stomach flunked geography.” 😀 The last quote always makes me laugh. Thinking of it it should have been biography instead of geography but the author was obviously suggesting something else, which I wouldn’t want to talk about. I did mention sometime ago that hubby loves Taho (soybean curd) and that one time during our vacation I had to follow the Magtataho 2 blocks from our house just to buy him some (I was below the house and he was upstairs so I had to go lol). Gosh, that Manong walked so fast! I bought 40pesos worth of taho for him that morning and another 40pesos two days after. Oggi of I can do that! mentioned in that post that she made taho at home which got me excited. 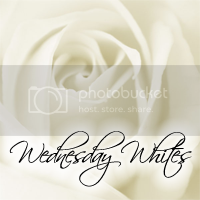 I had long planned to make some but the I’ll-do-that-tomorrow attitude finally brought me to today. 😀 I googled and the search page showed two of my favorite foodblogs…Kuya Vanjo’s Panlasong Pinoy and Weng’s Munchkin Mommy. I was surprised at how easy it seems, and it was! A few minutes later, I had my first homemade taho. I cooked the tapioca pearls per package direction, caramelized sugar and heated up the tofu a little in the microwave oven…I topped the tofu afterwards with the first two ingredients and that’s it!